This stained glass was from an old home in Huntington. 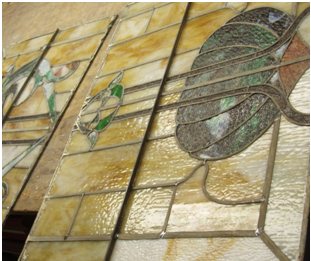 The stained glass separated into two pieces and many panes were broken. 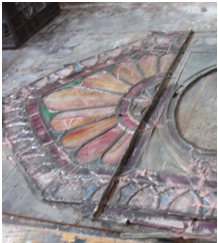 To make the stained glass beautiful again from the original look we fixed the broken panes and put the separated pieces together. 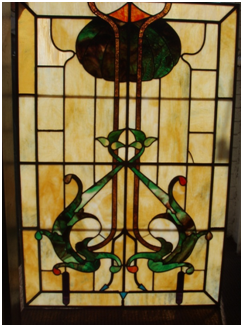 Here’s another stained glass repair from Huntington village originally made by a “Tiffany Studios” employee in Cold Spring Harbor. 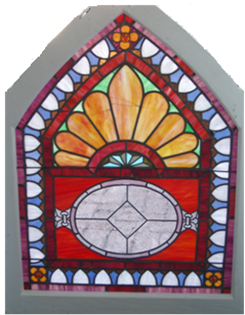 We removed the center portion of the stained glass and rebuilt.